- SLEEK & STYLISH - The T4 follows the extremely successful design of the Addon single box speaker. With a handle made of genuine leather and details of solid aluminium, the design is simple yet solid. - BIG SOUND FOR YOUR MUSIC - With a total of 40W and advanced DSP, Addon T4 delivers a purely amazing sound from such a small speaker. 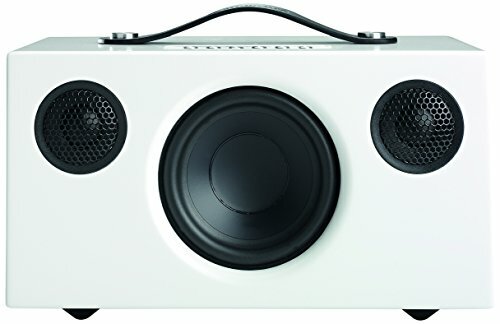 - BLUETOOTH 4.0 - Addon wireless speakers use the latest Bluetooth standard for best sound quality and transmission. Play your music from any Bluetooth devices; iOS, Android, Windows Phone and Mac/ PC. - CONNECTS TO EVERYTHING - Besides playing music wirelessly with Bluetooth, there is an additional audio input to connect other audio sources with cable.